With business opportunities sprouting up everywhere, sometimes it can get confusing as to how they really work. If you don’t understand the structure of a particular business, and decide to join or start the business anyways, then you might be setting yourself up for failure without even starting. So, what’s affiliate marketing and how does it work? Let’s dig deeper within this article. Why is it important to know the structure of the business model? Before we dive into this article, let me explain why it is important for you to know the business structure in depth before making your final decision. The reason you need to be fully aware of a business structure BEFORE joining or starting it up, is to prepare yourself for any negative aspect of the business or the negative response that it could receive. It is all about the psychological impact that this negativity will cause. Knowing the negative aspects of the business from beforehand will better prepare you to face it, if ever you do plan to go that route. You were expecting it, so it does not become such an obstruction for you. However, not knowing what you could expect and just diving right into a business whose structure you don’t understand, will hit you harder psychologically and will cause you to give up on the business simply because you were not prepared for it. So let’s get down to the heart of the article. Essentially, affiliate marketing is a business model where an online retailer / company will pay a commission to a third-party website (who promotes the retailer’s products) for sales that occur through the third-party website. To make this even simpler to understand, let me give you an example. You are an online retailer that sells kids’ toys. I own a website that promotes your toys. A visitor comes to my website and reads about a wonderful toy (that you sell) that I wrote about. I include a link within my article that will redirect him to your website, where he makes the purchase. Because this person came from MY website, you know that I was the one who referred him. You pay me a commission for my hard work of promoting your product. And that’s it in a nutshell. So as you can see, the structure is fairly simple and easy to understand. Affiliate marketing can be done on your own, but I do highly recommend that you, at least at the beginning, try to find some guidance on how to set yourself up properly. There are places where you can get this training for FREE but the one that I specifically use is called Wealthy Affiliate. The first thing that you would want to do, is build a website. You can try affiliate marketing through social media if you do not have one, but social media can only get you so far. If you are serious about starting affiliate marketing for the long term, then it is best to work on building a website. And let me also tell you that most affiliate programs (online retailers that accept to pay commissions as a result of your hard work in promoting their products) RARELY approve you to become an affiliate, as one of the requirements is having a website. Here’s why building a website is better! A website online is comparable to a piece of property; the more you work on it / renovate it, the more value it gains and the more it is worth. Somebody goes by your house, they KNOW you are the owner and you live there. This also applies to a website, where somebody looks at your website name, or land on your website and they KNOW that this is a website that they can trust. This is known as “branding”. If you do not have a website while doing affiliate marketing, then your business is not “brandable”. It does NOT build the same kind of strong trust that would otherwise develop. No, I am not talking about the rush-hour traffic. Here, in the online world, traffic is GOOD. It means that people are visiting your website. The more people that visit your website, the more money you can potentially make. By having a website, you are positioning yourself to get ranked within the search engines, such as Google, Yahoo and Bing, some thing that would be impossible for you to do without a website. By getting yourself on the search engines, you are able to allow your website to be found by those people looking for what you offer. That way, you are able to get a lot more traffic and more sales. A sure way to get to the first page of Google and the search engines is to target low-competition keywords. Keywords are words or phrases that people type into the search engines to look for information. If you are able to incorporate the right keywords into your article, then you are well on your way to getting FREE traffic. The keyword research that I use is called Jaaxy and it is one of the best keyword research tools on the Internet. These cons are manageable. Remember how I started off this article, explaining how you set yourself up to SUCCEED by knowing the negative aspects of the business? Now that you know what the negative aspects of affiliate marketing are, here is how you can manage them. As for affiliate marketing not being a get-rich-quick scheme, let me tell you that get-rich-quick schemes only exist to make the CREATOR of the scheme rich, not you. This makes most get-rich-quick schemes SCAMS. Knowing that, would you now not rather work hard and give the business some time to grow? We all want to make money as fast as possible and we want to have sustainable full-time income. This can never be possible with get-rich-quick schemes, because once these scams are uncovered, these schemes are removed from the internet and spring up under a completely different name, where you will need to start all over again. Affiliate marketing is not a get-rich-quick scheme but it is sustainable long-term full-time income for you, though it can take some time for you to see the results, which brings me to my second point. Affiliate marketing is just like any other regular business. Just like a physical store needs time to get known and to grow within the community, your website also needs time to get known and to grow online. A regular physical store needs at least a year or more to start seeing profits and affiliate marketing is the same. This can be hard, it can even be the hardest thing, if you do not have the discipline to keep working, while awaiting to see the results. In this kind of business, every little improvement or work that is done on your website, is cumulative towards the success that you are looking for. So patience is a real virtue to have to build an affiliate marketing business. Knowing that your patience will be tested but knowing the reason WHY it will take you so long to see results, are you not more prepared now to face this challenge than if you didn’t know about this? Maybe this one isn’t so bad, because you already know that with the starting of a new venture, you will need to learn about the business from scratch. Therefore, this is certainly something that you will NOT have a problem overcoming. For some, the concept is easy to understand, while it may be harder for others. We all learn at a different pace after all. That’s why you need step-by-step guidance from an online platform that is tailored towards the newbie and is designed in such a way that you can take as little or as much time as you need. Not only do you need the exact steps needed to start properly, you also need a support system that is infallible and that can be at your service 24/7. At Wealthy Affiliate, the training is so easy to understand, and even if you are having difficulty, you have experts at your fingertips helping you along the way, at any time of day or night. I have never seen another training and support system that even comes close to the one offered at Wealthy Affiliate. You will not lose ANYTHING by looking into this system and trying it out because you can create an account and start learning FOR FREE! I have personally used the training within Wealthy Affiliate and I have seen mind-blowing results so far. Affiliate marketing is not a new concept but it has only recently become more known. So it’s okay if you have questions. It’s okay if there are things you don’t understand. I am more than willing to help you out personally with any questions or concerns that you may have about affiliate marketing or any other ways to make money online. Leave all your questions or concerns below in the comments section and I will get back to you ASAP! Hi Reyhana, you explain really nice what I have to expect when trying to start an online business. Everywhere it says make money with a website and start earn today. You say It takes longer. I believe it will need some time like you say. Are there any shortcuts to get the selling started, let’s say within a week? I need the money and can hardly afford to work for a year without income. Hey Stefan. Thanks for your comment. I’m glad you like my article. Indeed, with affiliate marketing, it takes up to a year to really see any significant money come in. I understand that this is an issue for people who are looking to make money instantly. I have written articles on Textbroker and ContentMart, where you are able to practice writing blogs and make some money instantly. By using these two platforms, you are able to improve your writing skills, while making some money on the side. You will not get rich with them, but at least you start making money right away. I hope my answer helps you out. Affiliate marketing sounds like a solid way to build up a business. I understand that it can take a while to build your brand and build up trust with your audience. I don’t see that there is any way to take shortcuts, this is a long-term venture. Do you have any suggestions/recommendations for anyone that is new to affiliate marketing, such as mistakes that are easily avoided? Affiliate marketing is one of the best ways to build a business, as you can see from the advantages. And yes, a website is primordial to the success of any affiliate marketing business. When it comes to suggestions and recommendations to somebody who is new to affiliate marketing, the first thing that I recommend is to start the business the RIGHT way, by joining Wealthy Affiliate, even if it is for free. Wealthy Affiliate is, in my experience, THE BEST PLATFORM to learn about affiliate marketing. You have to do it right from the first step! If you don’t have a good foundation, most, if not all, will go wrong later on and you will have to back-track to fix the problem. The next suggestion is to be open to learning. You will need to soak up information, just like a sponge soaks up water. It will be overwhelming to some, and that is perfectly normal. The solution is to ask questions and to take your time. Do not move on to the next lesson, until you have completely understood the current lesson. My third suggestion is to choose a topic that you have a passion in. It can be your hobby, it can be something that you are knowledgeable about, it can be something that you can talk about freely. The reason this is important is that you need to WANT to write about it, you need to LOVE talking about it and you need to want to LEARN MORE about it. This is the only way to ensure that you will stick with it for the long-term. Working on your blog then will not feel like work at all! I hope I was able to help some of the newbies out there with these suggestions. Contact me if you have any more questions or need help. This was really well-written! And also a fair description of affiliate marketing. I can definitely attest to the learning curve portion. It is a very good point to mention that to anyone new to the industry. Good job! Can’t wait to see more content from ya. Hey Wilson. Thanks for dropping by. I’m glad you like my article. And I can also attest to the learning curve! LOL… That’s because, as much as 80% of people starting affiliate marketing, are newbies and need to learn everything from scratch. I was one of them, and from what I can gather from your statement, you were also one of them. It really points to the fact that anybody can do this, if they put their minds to it and work hard! Thanks for reading and for giving me feedback! Yes, writing good articles and having good content is a major part of finding success and ending up with a high rank on Google. Because, the better your content, the better you will help people and the more Google will make your article visible to more people. However, I also recommend to use Jaaxy, which is the best keyword research tool for seo that you will ever be able to find. And it is more than just a keyword tool. You can track your website rank, find affiliate programs, find profitable niches and all that good stuff! Coming to your question, yes! An article, a post and a blog all are the same thing. They are used interchangeably. I love the advantages that you have listed in becoming an affiliate marketer which I believe is pretty amazing. But the hard part is always driving traffic. I never knew that it would be this hard but I guess like any other online success business I must not give in or give up but continue to push until I get the kind of results that I am looking for. Thanks for sharing and amazing post. Norman, the advantages are amazing but just like every business opportunity, it is not for everyone. You hit the nail right on the head when you say that the hard part is driving traffic. But once you GET that traffic, it is easy to maintain. Affiliate marketing is one of the best business models that will help you achieve the balance that you are looking for in life. Most people work moderately their entire life to be able to enjoy a modest retirement. But the ones who want to enjoy a GREAT retirement are those that put HARD work earlier on. 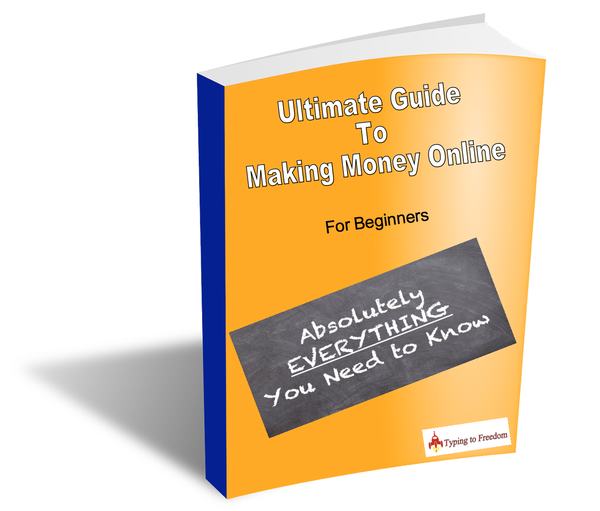 I am glad I read this, I am fairly new to affiliate marketing and I completely agree, there is a steep learning curve, I have re-done things so many times in light of new information, it can be frustrating but its all helped me improve. I also really like your comment about branding and comparing it to property, I have never thought about it like that before and it has helped me look at it in a different way. And I am glad to have made it available for you, Courteney! When I had just started, I had to do things over and over again until I got the results I desired. But I learned a lot from the mistakes I made and now, I know exactly what to do to get to my results. This is how good the training at Wealthy Affiliate is. Not only is it good for learning the ropes, but they show you what to do in order to succeed in the long term as well. When you have a website online, it is an online PROPERTY that you own, with a name. Which makes it very brandable and will become recognizable to your audience the more that it appears. And your visitors will know that it is a trustworthy source.